DfT 'losing fight on road tax evasion' | What Car? The Government and the DVLA have been criticised for not doing enough to combat road tax evasion, which is costing hundreds of millions of pounds each year. The evasion rate jumped from 3.6% in 2005-6 to 5% in 2006-7, which now represents a cost of 214 million a year. The DVLA was deeply criticised, particularly for failing to do enough on road tax evasion among motorcyclists. The committee also said that the DVLA and the DfT must work more with the police and local authorities to tackle offenders on the road, rather than just using paper records. It also said that using new technology to detect evaders should be 'vigorously pursued'. 'The alternative is an ever-increasing belief among road users that the evasion of road tax is a low-risk priority,' Leigh said. 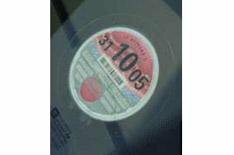 There was also a call to close a loophole which means that motorists who delay renewing their road tax could avoid paying one month's worth of road tax without being sent a penalty notice. 'This loophole should never have been allowed to exist,' said Leigh. She also added: 'Enforcing only from the computer record increases the risk of people dropping out of the system completely and joining the motoring underclass. 'The Government needs to boost the number of traffic police carrying out on-the-road crackdowns, so that the motoring underclass and hard-core tax dodgers are the ones feeling the pressure, not the law-abiding motorist.